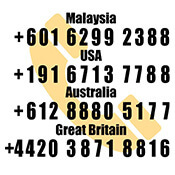 Business Opportunities in Singapore. What are the Benefits of Starting a Business here? There are several very attractive international business opportunities located in Singapore. This attractive venue, rich in history and culture, blends tradition with fresh ideas to successfully develop, maintain, and grow a plethora of business opportunities. The best part? It’s very easy to start a business in Singapore. The dynamic business and international environment of Singapore’s first class infrastructure, makes it a choice destination for international companies to organize any type of special or convention event in the cities of the region. This beautiful city has all of the necessary convention services, exhibition halls, and state of the art technology, making it very easy to participate in tourism and sightseeing, to complement the day’s convention itinerary with networking activities. With all the food, travel, and retail services, the difficult choice will be what to cut out due to time constraints. Singapore has so much to offer, you’ll only run short of time. Singapore’s booming technology, manufacturing sectors and industries are an important component to the world of international trade, simply by geography and central location. As a jewel in the crown that is Southeast Asia, Singapore is recognized internationally and proven itself to be one of the best places in the world for trade and starting a business. Another wonderful program offered to assist with business opportunities in Singapore is the EntrePass. Simply, this programme is a work pass for foreign entrepreneurs who are considering starting a business in Singapore. The simple process of applying online cuts the wait time to a mere few days so that applicants are not left waiting on their status. Successful applicants are provided with EntrePass, which is valid for up to two years. If the news business carries out the EntrePass required renewal criteria, the subsequent renewal will be for three years. Don’t have an established brand or business plan and thinking about business opportunities in Singapore within the franchise industry, to set up a franchise store? Singapore has services that can help you discover franchise businesses opportunities — either to take over, or work for, there is even a service/ directory to help you with this decision. For a foreigner to have a business opportunities in Singapore, the first step is to register a Singapore company. Some basic requirements include: the business must not be illegal, the company must be registered as a Private Limited Company, and it must not be registered for more than six months at the point of application, foreigner applicants need to hold at least 30% of shares in the business and the company needs to have at least SGD$50,000 of paid-up capital. Setting up of businesses like food courts, massage parlours, employment agencies for instance will be rejected for the application of an EntrePass. Before anything else, if foreigners would like to be present in Singapore to administer his/her business operations, one is required to apply for an Employment Pass from the Ministry of Manpower, also known to everyone as MOM. Singapore Employment Pass (EP) is a work visa which allows foreign professionals, managers, executives, specialists and professionals to live and work in Singapore. In consistently maintaining a low level of bureaucratic red tape, there are no/minimum laws or government agencies that regulate the offer and sale of franchises. The Franchising and Licensing Association is Singapore’s national franchise body. Their mission is to strictly nurture and develop Singapore’s franchise industry. Any franchise company is welcomed to join the Franchising and Licensing Association. Forging ahead in the global market, Singapore’s international trade is assisted by International Enterprise, Singapore. This is the government agency tasked with the major project of assisting and growing Singapore’s external, world wide economy. The International Enterprise developed the overseas growth of companies and business associates which are based in Singapore, to promote international trade. Working diligently to achieve a healthy, thriving hub for businesses in Singapore, along with globally competitive companies is their main goal. Prices of homes, buildings and business properties, due to the smaller size of Singapore compared to some other countries, may be considered a bit high. Keeping with Singapore’s philosophy of making things run smoother and very easy to set up a business, there are “cooling measures” which are in place, to prevent continuous inflationary pricing. The real estate sector of Singapore’s government monitors activity monthly, and makes necessary changes to stabilize this part of the economy. The Singapore Banking Sector, important to global investors, provides traditional lending, as well as depository functions, and other services in the areas of commercial banking, finance/financial advisory, insurance, export, and capital market and economic services. Those looking to make a cash deposit or a hefty investment know that their needs will be well looked after. The sector is exposed to changes in the macroeconomic environment, and would be adversely affected should international conditions in US, Europe or China deteriorate. In Singapore, education is a thriving industry. Expert educators impart education to all kinds of educational institutes, from pre-schools to colleges. Specialized course provides learning tools and certificates for engineering, aviation, information technology, hospitality, interior designing, and business administration, among others. These skill sets also aid young children in forging ahead with their future career in various jobs. No matter their interests, Singapore has the facilities, technology and skill set to offer the future generation. Singapore’s policies, services, and laws for business are particularly friendly toward foreigners, making the process of investing, working, and even relocating, a smooth and easy road, offering various forms of assistance along the way. Publications have awarded this system as easily implemented with simple processes and little or low bureaucracy. The immigration laws have historically been the most favorable for new businesses, with the least amount of bureaucratic legal work required. The governmental management works to consistently encourage new industries by cooperatively working between established businesses, foreign nationals and the country’s local and national municipalities. The Singapore government is proactive when it comes to recruiting and securing sufficient employment applicants. Because there is such a demand for an educated, qualified workforce, the government has successfully implemented a nationally recognized education system to develop an adequate pool of applicants, trained in various skills and job-ready for different segments of the economy. Any business considering relocating to Singapore can know that superior human resources are available. The taxation laws in Singapore are simple and the rate is low (only 17%). This amazing country has excellent tax systems that benefits small to medium sized companies, and the capital gains tax is zero percent! This economy, fueled by an environment which is conducive to business growth, is a nothing short of perfect for any entrepreneur thinking of a smart new venture. This low tax rate easily translates into an increase of extra funding available for the company’s financials. Finding this international location so agreeable, many business people who do decide to reside in Singapore, often make the decision to buy houses, bring their families and relocate permanently in Singapore. Offering some of the world’s highest and best standards of living, not only is this the first choice of many for business, but for social reasons as well. Singapore still has a well standard cost of living when compared to the high standards of quality offered to residents. The crime rate is near zero percent, making this what could be the world’s safest places. Offering a comprehensive healthcare system and some of the world’s top rated schools and best education, Singapore offers advantages for an excellent social life. Known the world over for being low on bureaucracy and high on cooperation, Singapore’s agencies work endlessly to assist with businesses growth and partner up with new financial ventures. All of these agencies are set up to provide assistance to facilitate business success, no matter the industry. Hi,I am a Ghanaian who is looking forward to dealing in general goods and export from Singapore to Ghana.Kindly advise on what i need and the charges for your services. Also i have some friends who are looking forward to working in Singapore and wants to know the available jobs on of offer for both skilled and unskilled labour as well as graduates. You can consider our all in one package of Employment pass with Incorporate to start your company and get the right work visa to work in Singapore. As for job applicants for your friends, they can refer to Job DB or Jobstreet Singapore. i am wanting to invest in a business in Singapore, with the aim of relocating from South Africa at some point in time, can you assist. We would need more information regarding the nature of the business you plan to be involved in, so we are able to better advise you further. Do drop us an email at paulhypepage@php-cpa.com.sg to discuss further. we are doing textile retailers in past 75years. (in India. Tamilnadu). I wish to setup a shop for my son. He completed his graduation. And he studied his higer studies in England. How is opportunity to do clothing and garments. Please give me some suggestions. We would recommend our all-in-one Incorporation with Employment Pass package as the quickest and most efficient way to set up a successful business here. Do drop us an email at aulhypepage@php-cpa.com.sg to set up an appointment. Thank you for reaching out to us. We would be happy to help you with your request. We would suggest our all-in-one Incorporation with Employment Pass as your best solution for quickly starting up a business in Singapore. We would like to have a further discussion with you on what you had in mind so we would be better able to advise you on the next steps. Do drop us an email at paulhypepage@php-cpa.com.sg to make an appointment. We look forward to hearing from you. I am a Filipina, i’m interested to open up a business and move with my kids in Singapore. Do you have any suggestions on what is the best ideas in putting up a business in Singapore? Hoping for your reply. Absolutely! We can help you establish a business quickly and efficiently with our Incorporation with Employment all-in-one package. You’ll be ready to get your businiess started in no time. Do drop us an email at paulhypepage@php-cpa.com.sg and let’s talk more. I am an Indian and having 16-year experience of petroleum product retail business. Is there any chance of start petroleum retail business in Singapore?. Kindly guide me. There are many business opportunities available in Singapore, and our Incorporation with Employment all-in-one package is the fastest and best option for entrepreneurs to get started with a successful business. Do drop us an email at paulhypepage@php-cpa.com.sg so we can help you get started and discuss your options. In order to better advise you on the matter, we would need more details regarding your situation and what your business plans involve. Do drop us an email at paulhypepage@php-cpa.com.sg . Have a great day ahead. The best solution for your situation will be to incorporate a company in Singapore with nominee director. This package allows you to have 100% ownership and open a Singapore bank account if needed. Furthermore, our online incorporation system allows you to incorporate without leaving your home. Do give us a call to arrange for an online meeting. I’m 31 years old Indian citizen and wish to start business in Singapore like 7-Eleven or like $store. I heard from people and read it on some websites that I need one local partner but I don’t have, so how it will be possible for me to start business ? I having capital or I can invest around 200 thousand sg$. In feb 2011 I came to SG on tourist visa and I got the job in food manufacturing company as a production supervisor and worked for this company until oct-2015. We recommend that you consider our incorporation with nominee director services, and we will be able to assist with the incorporation procedures as well as the employment pass application (if required). We would love to hear more about your company so we can better advise you on what to do. Do drop us an email at paulhypepage@php-cpa.com.sg for more details and charges. Iam an Indian national working in Saudiarabia,aged 58 years,as a part of my retirement plan from here,i have established a trading company in UAE.This company deals in importing and exporting of plastic raw materials,this company has just been registered and about to start operations.At the same time ,i feel that starting a trading and export import business in singapore will help my over all business.Can you advice me the way i can make this come true?,What will be the procedures and approximate investment involved,can i get multiple entry visa? The best solution for your situation will be to incorporate a company in Singapore with nominee director and you can go for employment pass later after the company is up and running with good sales records. We will email you shortly for your consideration. If yes what type of Business? You can obtain an LOC (Letter of Consent) to work in Singapore. DO contact us for more information. I am a US citizen willing to export medical/dental supplies, technology and services to Singapore. I am Pranab Kumar Saha Bangladeshi Citizen .and i want to start business in Singapore. so please guide me. There are a few different type of setups you can consider for your company in Singapore depending on your business model. If you are considering to relocate to Singapore, we will recommend setting up a Private Limited company with Employment pass. We will email you with more details. I am an Indian, i am interested in formation of company with an objectives of construction, Finance and Investments with some suitable ancillary objects in Singapore. Please kindly revert me the procedure and required investment for the above purpose. I am a graduate in Entrepreneurship from the best business school of Pakistan. Currently I am operating real state and oil business in Pakistan which is owned by my father. I look forward to expand my horizon and for this purpose I am visiting Singapore in early January to sense some business opportunities. I would be glad if I can set up an appointment with you in Singapore so that I can discuss the opportunities between both the countries in more details. Thank-you. Understand that you would like to set up a new company in Singapore as an expansion to your father’s real estate and oil business in Pakistan. You may make an appointment with us from the link below. http://www.paulhypepagemanagementservicespteltd.gettimely.com/ and book an appointment under Justin or Eric. We look forward to discussing with you soon. I am Indian PR and i want to start business here. so please guide me. Yes, we can help. We’d like to ask you some more questions about your business plan so that we can assist you better. We will be in touch with you on separate email shortly. I am a brazilian citizen willing to export brazilian products to Singapore. Thanks for your interest. We can help you to set up a trading company in Singapore, then you can choose either to apply for your employment pass or appoint a nominee director. We can discuss more about your business plan via email. We will send you an introduction email shortly. Der sir.I m srilanka.I have a above 10 years real estate work experience. I m now 35 years old.pl.tell me can I start a my business in Singapore and can I get t a licean of real estate. Yes you can start your own business in Singapore and we can help you on that. Our representative will be in touch with you shortly. , can you inform us ? Which products/projects of business can start in Singapore these products/projects would be fast viable & fisible.. There are many good business opportunities in Singapore. We usually advice our client to continue a business you are familiar with and related to if possible. Different kind of business set up depends on the kind of work visa required if any and services offered. Do contact us for a discussion to setup your company. I want to start a retail unit (groceries and textiles). Is it permitted in Singapore ? Please advise. I confirmed to start a business in Singapore with my family. There are many good business opportunities you can venture in Singapore and retailing is always a vibrate market here. Whats is important is that you must have a good and right setup of your company to ensure hassle free EP application as well as DP pass for your family. Please contact our corporate specialist for an appointment to discuss in details. You can start with setting up a private limited company in Singapore. We will be please to assist you further. My colleague will be emailing you shortly with more incorporation details. I am interested in exporting castings & forging to Singapore. Please give buyers & companies for the same . I have a construction company here in Pakistan working since 1997. I am 38 years old and and BCS. I intend to start a new business ie construction ,importing cars and vehicles from Japan etc. Kindly help me out moving in right direction without any loss or waste of time. It will depends on your business model and if you will be relocated to Singapore for us to guide you the right kind of company setup that will be best suitable for you to incorporate in Singapore. My consultant will email you with more details. I am an Indian citizen and my age is 32 years. I did MBA(Business Administration) from United Kingdom in 2011, before that I did LL.B. from top Indian University in 2008. I visited Singapore a lot of time on tourist visas. I have work experience of approximately 3 years as a Business Administrator in an Indian pvt. company in India. I am also a registered lawyer in India, but I prefered my Administration Job. I want to start a business in Singapore with small investments or interesed to get a job in Singapore. Can I get any work visa or employment pass of Singapore? How much minimum investment is needed to start business in Singapore? I am interesed in promotion of tourism industry business or job. The most recommended way to setting up your business in Singapore is thru Paul Hype Paul Solution – Singapore Incorporation with Employment Pass. Do book an appointment with our incorporation team to understand better. Looking forward to welcoming you to Singapore! The start-up capital of a company in Singapore can be as little as SGD2, what’s more important is your type of business and mode of operation. My incorporation team will contact you shortly to give you more information. want to start a backpacker hotel in singapore and also want to move with family. i can invest above 70,000 singpore dollars. please tell me what is the procedure . You will need to incorporate a company in Singapore and we will suggest you apply for Employment pass, once your employment pass is approved, you will be able to apply for dependent pass for your family. My colleague will email you the detail procedures and step for your consideration. Hy I am interest in business inSingapore pls give some detail how invest in Singapore,how much fund require,visa process,time limit.I am indian and my own business of bulk vegetable trade & distribution. We can assist you from setting up your company to applying work passes as well as registered office address and work space to get you started with your business. Do give us a call to arrange for a meeting. I am about to start working in Singapore and waiting for my EP. My husband suppose to receive DP as my legal spouse. He is specialist of Iridology, Chiropractic and Acupuncture. He is Belgian citizen. My question is: Can he open a private practice/studio in Singapore and what are the requirements for this? Your husband can apply LOC to start working in the company but as a DP, he can not be the director of the company. Do book an appointment with us for a detail discussion. I am a citizen of India and aged 60 years. I had been to Singapore about a month back and I was highly impressed with the country, its people, culture and public life. On the way back to India, I was thinking of the possibility of having a business contact with Singapore. I do not intend to settle there. I cannot also make big investments. Could you please let me know whether I could start a small business in Singapore, such as working as an agent for some companies in Singapore or promoting tourism to the country etc? I shall be grateful to receive your reply. Yes, there are many business opportunities in Singapore that don’t require high investment cost. Do make an appointment with us so we can assist you with more options.